Leave a comment on THIS post by 6 p.m. CT Tuesday, February 16, 2016 to be entered in the DRAWING for a copy of the book below. If you mention in your comment that you’re a follower (see in the left sidebar “Join This Site” and “Follow by Email”), I'll add your name a second time in the drawing. U.S. mailing address required to receive a paper book. I may or may not have read books offered for giveaways. The mention and giveaway of books on my blog does not in any way indicate any manner of my endorsement of said books. Read book giveaway details at Disclaimers. To provide you security, please leave your email address like this: johnATyahooDOTcom. Winner announced in next Thursday's blog post. focusing on her own writing. WhiteFire Publishing released Gail’s memoir, Catching Up With Daylight in 2013, and her debut women’s historical fiction, In This Together released in 2015 with Wild Rose Press/Vintage imprint. 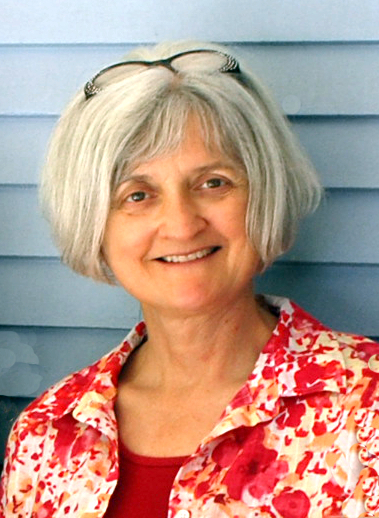 Meeting readers and authors excites Gail, and she delights in facilitating writing workshops and women’s retreats. She and her husband enjoy their family in northern Iowa, and in winter, the Arizona mountains. Welcome, Gail. Please tell us a little about your novel, In This Together. boarding house. Her daughter Cora moved to California straight out of high school to work for the war effort, married a sailor and settled down in the Golden State—another loss. Dottie contributes to her rural Iowa world in down-to-earth ways—cooking and cleaning, volunteering at her church, and tending her garden. But when troubles arise in Cora’s third pregnancy, Dottie longs to help, and meet her two precious grandbabies out in California. However, old fears prohibit her from making that arduous, cross-country train journey. 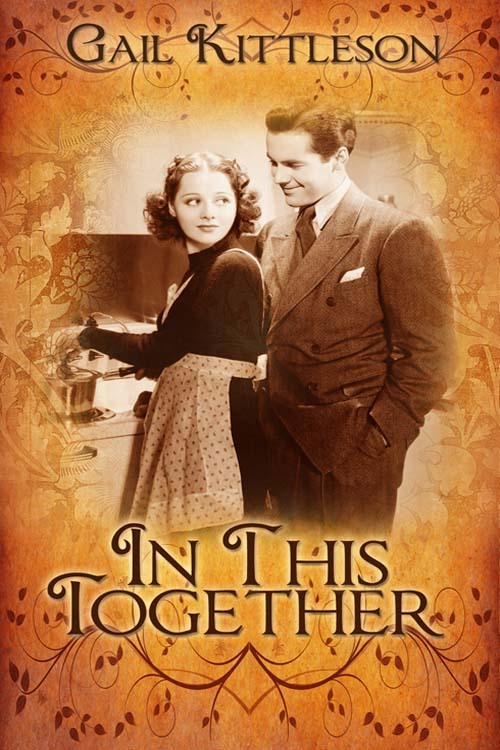 At the boarding house, complications arise that force Dottie to speak up for what’s right, and as her confidence grows, so does the heartfelt interest of the widower next door. Second chances lie just around the corner! Where can readers purchase In This Together? Thanks for having me, Jo. I’d like to chat a bit about second chances—sometimes we have no idea they await us. That’s the way it is for Dottie when we meet her in my novel, In This Together. She trudges to and from work every day, unaware of the attention her neighbor Al would love to shower upon her. But Al knows Dottie quite well, and her independence intimidates him. Of course, he knows nothing about how her daughter in California needs her, or how helpless Dottie feels over the old fears that bind her. At the same time, Dottie has no clue about Al’s well-hidden fears. But that’s all a part of getting to know each other, right? Understanding some complications of a loved one’s personality can take decades, because humans are capable of obscuring their true feelings. Readers, as Valentine’s Day approaches, the focus is on romance, but how have you experienced a new level of understanding in one of your relationships, romantic or otherwise? Thank you, Gail, for visiting with my readers and me. 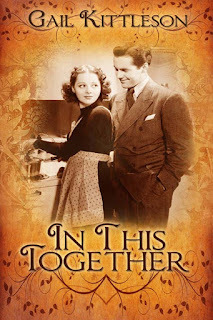 One of the commenters will win an eBook copy of In This Together, which you've offered. 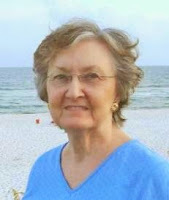 The winner of last Thursday’s blog post for a copy of A Reluctant Melody by Sandra Ardoin is Stella. I’ll email you. Thanks all for commenting. Watch for more book giveaways. Excellent observations in your parting comment. So often we hide the way we feel. Ain't it the truth, Pat?! Patricia, thanks for stopping by and leaving your coment. Thanks for stopping by, Sheryl. Dottie and I have hung out for four years now, and she's the kind of woman you'd want for your best friend. A reader recently mentioned, though, that Al was the one who won her heart. Jo, thanks for having me. I had to be gone most of the day, so am just getting to peek at this. Love opportunities to tell the world about Dottie and Al. This sounds really good! Got me hooked in to see what happens. A new author to me I like to get to know. I am a follower of your blog. Diana, glad you found a new-to-you author. Thanks for commenting and for following my blog! Thanks, Diana. I hope you get to know Dottie and love her! Glad you stopped by, Kim. My feedback so far has me believing you'll enjoy In This Together. This book sounds good! I'm following! Emilee,thanks for commenting and following my blog! I always enjoy World War II books. My Dad was in the Army and didn't see me until I was a year old. I can imagine how my mother must have worried since he was stationed in Japan but God was watching out for all of us! The books sounds very interesting.